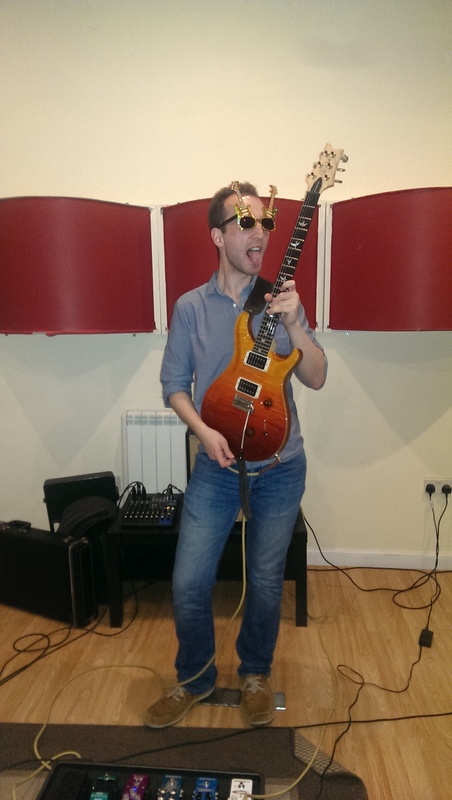 Here are some pictures, soundclips and videos from some live playing in Edinburgh (cover material). 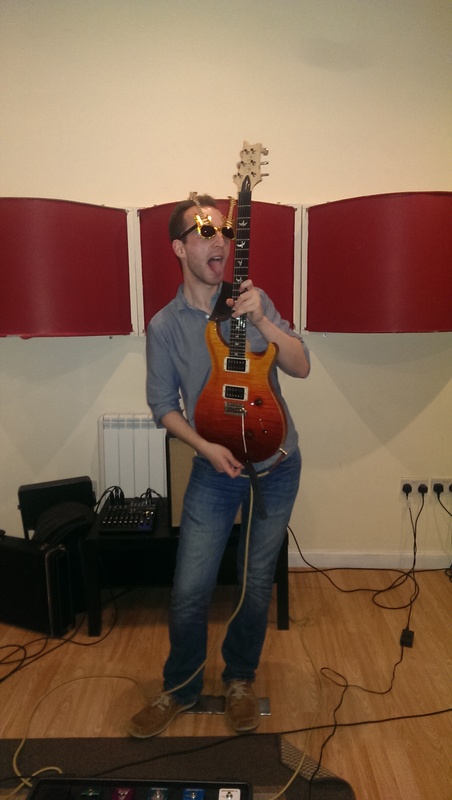 Messing around in the studio with the guitar glasses I got for my Birthday! “Ice 9,” Live in Bath, England as part of Bath International Guitar Festival. 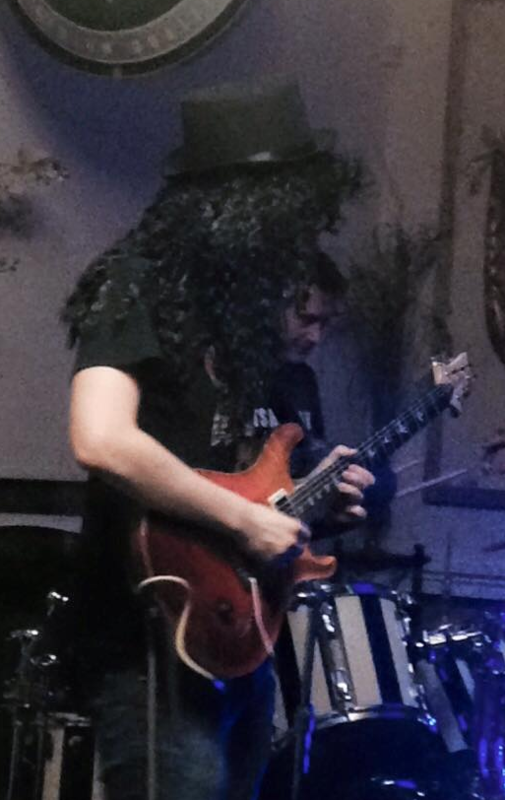 My guitar is in the foreground and I take the first solo. This was MANY years ago. Great fun!